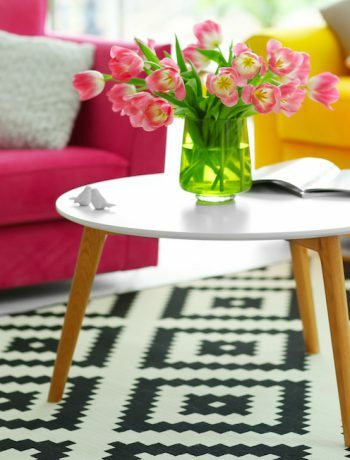 With every New Year comes new renovation and design trends. This year, we challenge you to make a statement in your kitchen. Bring unique colors and accent pieces into your kitchen and be bold with these eye-catching and memorable trends. Bring your kitchen into the future this year by incorporating smart appliances into your design. Smart appliances have become incredibly innovative and are continuously developing at a fast pace. A must have for any active cook in the kitchen is the new Sharp SMD2480CS Wave Open Microwave Drawer , which opens smoothly with a simple wave of your hand near the motion sensor, boasts an all-new, elegant and stylish design for a premium kitchen. 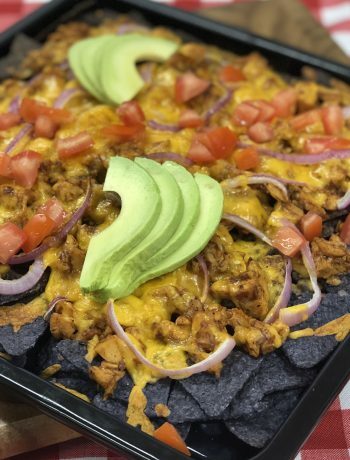 Steam ovens are also making waves in the cooking world. With the creation of superheated steam ovens, cooking has never been faster and easier than it is today. Not to mention that they have been shown to retain more nutrients and flavor than a traditional convection oven. However, cooking is not the only thing “getting smart” this season. New Bluetooth devices have been released that connect/control your kitchen lights, appliances, and smartphone, all while playing your favorite music. Talk about innovation. All in all, these products are sure to shake up the way you think of a smart kitchen. Make way for pull-out storage this upcoming year. Now more than ever, homeowners will have an efficient way to organize and access treats that mysteriously find their way into your kitchen cabinet. Traditionally, cabinet structures left homeowners with a great deal of unnecessary wasted space. More innovative storage also means more places to hide that well-loved cookware that you would rather leave off display. There is a misconception that to organize your kitchen you need to completely remodel it. 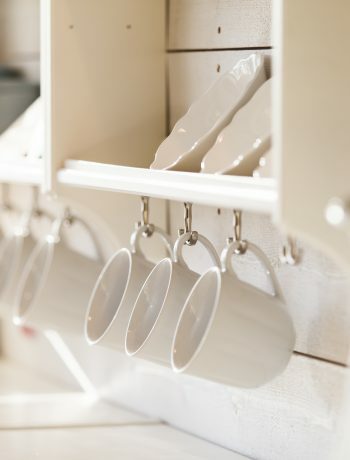 While a kitchen renovation is always an option, there are many cost-effective solutions to organize your kitchen; some of the most common being drawer dividers, labeled glass jars, and a spice rack. The best way to decluttering and organizing your kitchen is to first decide what you’re most chaotic areas are, and work from there. There are many DIY solutions that do not require installations, in fact, they usually require common items you may already have. This season, with to regard cabinet color, the bolder, the better. If committing to a warm orange or blue is too drastic of a change for your liking (I know it is for mine), then two-tone cabinets are a happy alternative for you. 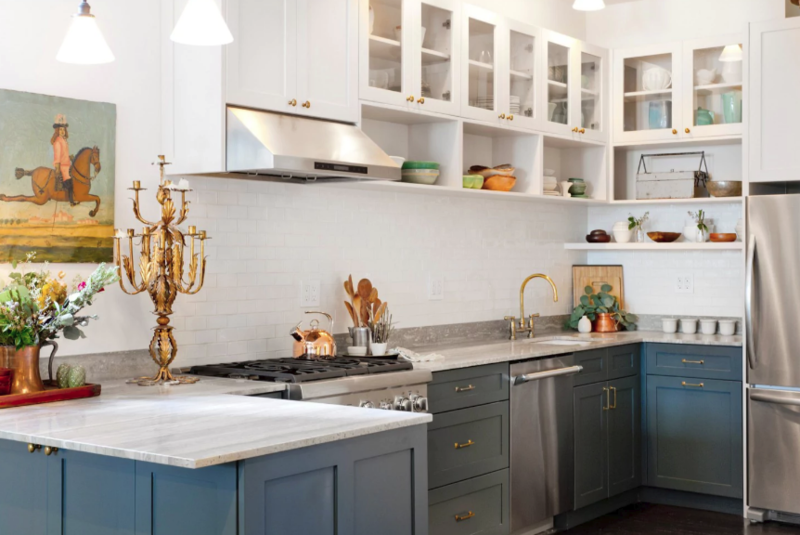 Two-tone cabinets have been an option that many homeowners are leaning towards as it provides a pop-of-color with a distinctive and contemporary look. One way you can incorporate this design trend into your kitchen is by choosing a dark contrasting cabinet color for only one wall section, exhibiting the appearance of a built-in hutch. Since storage has a growing importance this year, a two-toned cabinet structure could give your kitchen a less cluttered, lighter appearance without reducing the amount of cabinets you currently have. 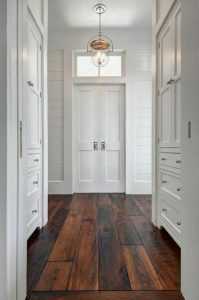 This can simply be done by choosing a light, pastel color for the upper cabinets and choosing a dark or colorful color for the lower cabinets. Ensuring the cleanliness of your kitchen is increasingly important as allergies become more and more persistent. We know how much of a pest pet dander and odor can be to keep up with. But how do we keep our furry friends close to us without the urge to consistently clean and sanitize the kitchen? 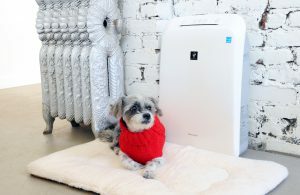 This season, create a pet-friendly space in your kitchen by investing in an air purifier with True HEPA and charcoal filters. Our air purifiers have patented Plasmacluster® technology that is known to create ions that are both positive and negative and disperses them into the air. By doing so, the air purifier effectively removes 99.97% of particles and eliminate odors from the air that passes through the filter. What trends will you incorporate into your kitchen this year? Let us know in the comments below! Sharp’s top-of-the-line Microwave Drawer™ features Easy Wave Open for touchless operation. Simply wave up-and-down near the motion sensor and Microwave Drawer will glide open. With the touch of a button or a gentle nudge, our patented Easy Touch Automatic Drawer System smoothly closes the oven to avoid messy spills. And the SMD2480CS Sharp® Microwave Drawer™ stays closed when you walk by, so children and pets won’t accidentally open it. 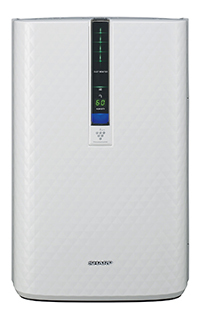 The Sharp KC-850U Plasmacluster Ion Air Purifier with True HEPA Filtration and Humidification offers a unique combination of air treatment technologies and a one-touch automatic air quality control system to make you and your family more comfortable all year round. The automatic air quality control system of this medium-sized room humidifying air purifier uses sensors to constantly monitor the air quality in your room, adjusting for air purity and optimum humidity level, and will also indicate when filters should be cleaned.